The Bluelab pH Meter is a simple, reliable pH meter that provides accurate readings and unparalleled ease-of-use. Growers can use this AAA battery-powered portable meter anytime, anywhere with its simple push button pH calibration. Its auto-off function extends battery life, and its large display makes it a breeze to read. 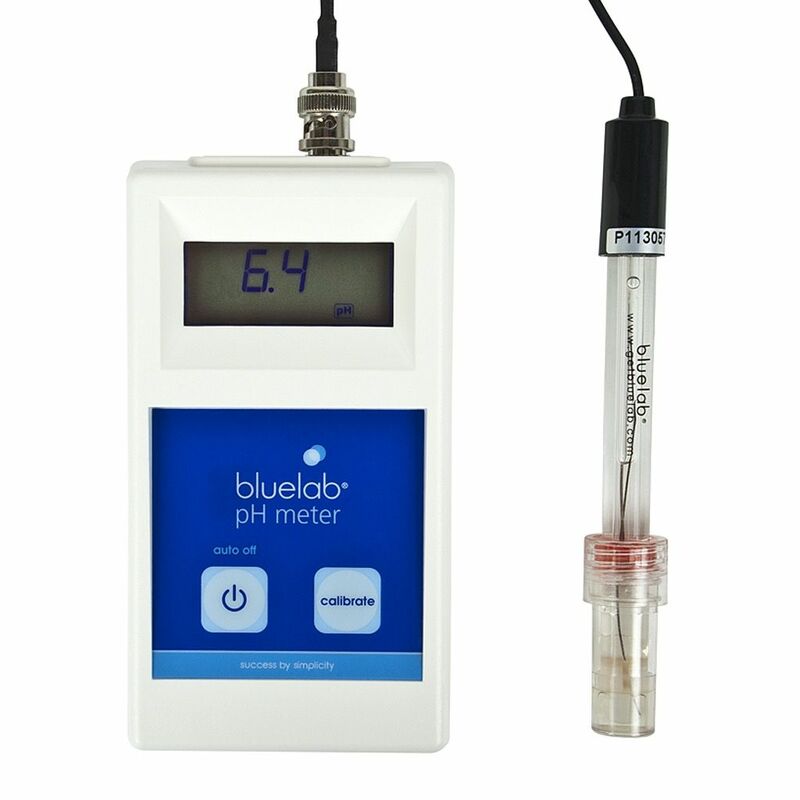 Includes double-junction pH probe, pH calibration solutions, two AAA batteries and a five year manufacturer's guarantee on the meter, six months on the probe.